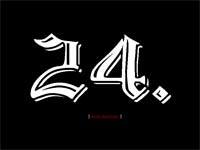 50mm was established in 1996 by Too Tall Jahmal and veteran Los Angeles graffiti writer Unit One. Alto Contraste Crew from Spain. Exceptional paiting! Amsterdamgraffiti.com is your window to ‘The Wall’. Since … ever, we have been talking to the walls. From the first moment we realized that they can be our best friends. Biggest Gallery of Graffiti Pictures in the world! Here you are in Blek’s graffiti world. 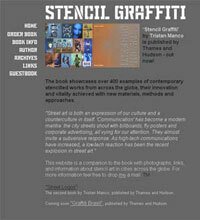 A well done stencil graffiti art collection. 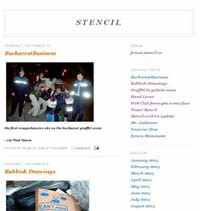 The purpose of this site is to present the graffiti movement in Bucharest. camera80 s-a nascut din pasiunea pentru fotografie si in acelasi timp din necesitate. 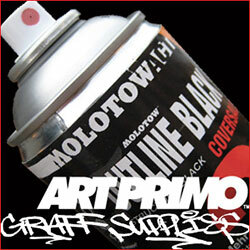 Graffiti drawing and street art since 2007. Artist: Playing guitar in metal bands. Study: Faculty of fine arts – Skopje. 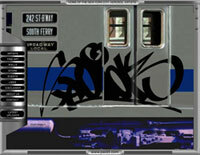 World Wide Graffiti Trains ! 100% Trains ! Over 16.000 Pictures ! 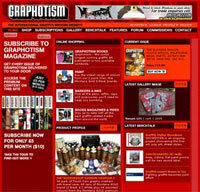 The role of GRAPHOTISM as a regular journal is to present and raise the profile of graffiti art writing around the world. 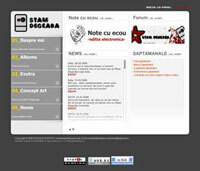 HipHopKulture.ro – Impreuna pentru miscarea hiphop! Manastiri din Romania prezinta patrimoniul cultural din Bucovina si Maramures: poze, turism, harti, stil de viata, sarbatori, manastiri, biserici, arhitectura, fresce, picturi pe pereti, icoane, ele fiind o marturie de credinta a vremurilor din trecut. 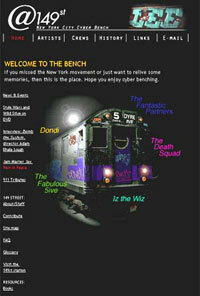 If you missed the New York movement or just want to relive some memories, then this is the place. Hope you enjoy cyber benching. 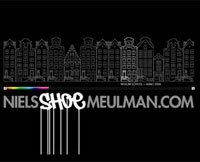 nielsshoemeulman.com tells the story of Niels Meulman aka Shoe, or how a young graffiti vandal ends up designing ads for major brands and lecturing at the UCLA. 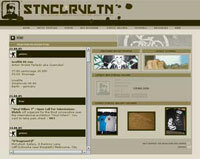 Nonstop Culture Magazine is Switzerland’s finest graffiti and street art magazine. 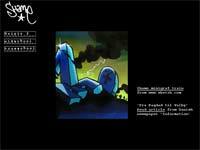 Interface to search pictures of graffiti published on usenet by using usenet-replayer’s long time archive. PULA este un concept. PULA FASHION este un experiment. PULA FASHION este un stil de a trai. A trai contra. PULA FASHION este o revolutie impotriva manipularii. Inlocuieste cu PULA toate marcile care te asasineaza non-stop si vei obtine: o PULA reclama. 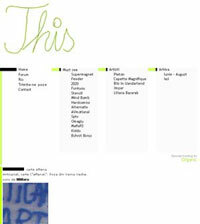 Rail7.com sees itself as a documentation of the graffiti scenes in Leipzig, Germany and other countries. Where art from the street comes to the roof! 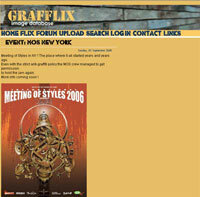 SprayART is a virtual gallery where you can find and buy a new form of art. SprayART este o galerie virtuala unde puteti gasi o noua forma de arta materializata prin tablouri realizate cu vopsea spray pe carton lucios. Street logos, stickers, posters, walls. All this come from Helsinki (Finland). GREAT walls! 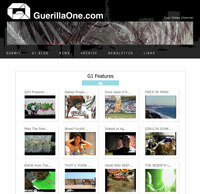 A must-see site! She tries to bring a new photo to her site every day. 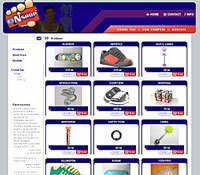 This site just WOWed me! It really blowed my away with positive feelings and good thinking. 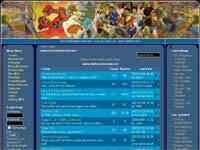 Bronx (USA) professional muralists who work in aerosol. They have changed the perception of graffiti as art! 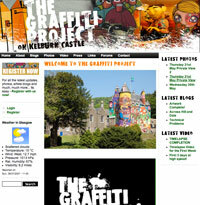 The idea is simple and original: take the vibrant and often transient art form of Brazilian graffiti out of its predominantly urban context and apply it to the ancient and permanent walls of an historic rural castle in Scotland. 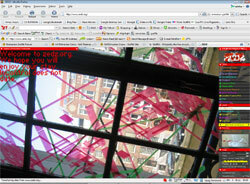 Image galleries, forum, archive. Mostly stencils. Where no man has gone before… is a graffiti site mainly representing the graffiti scene in Gothenburg/Goteborg (on the westcoast of Sweden). Graffiti outside Gbg can of course also be found on this page! No reply to "Graffiti Sites"